You may have a Home Mini (or two), but a Google Home with a display gives you a lot more versatility — its great for watching quick YouTube videos or catching up on your morning news briefing. 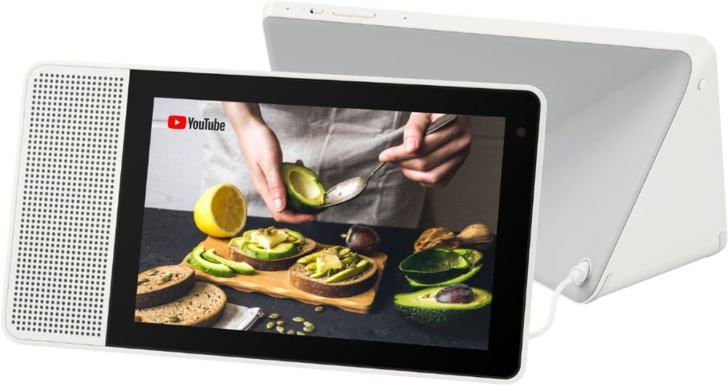 Lenovo is having a weekend sale, with 10% off most products on its site, pushing the 8-inch Lenovo Smart Display down to $89, that's $11 less than the $100 deal at Best Buy from a few days ago, and $110 off the MSRP of $199. To get this deal, just use the promo code "TOUCHDOWN10", prominently displayed in banners all over the site. Shipping is free, and you can apparently pay for this in four interest-free installments, should you so desire. You may also be eligible for a further Military/Student/Teacher/AARP discount if you can verify your status. The sale is just for this weekend, so don't mull over it for too long if you're interested. At Android Police, we try and bring you great deals as soon as we see them. Sometimes, these deals don't last very long, as the manufacturer either sells out or runs out of the quota of stock set aside for the discount. This seems to be the case here, as just a few hours after publishing, the price shot back up to $161 and is currently at $135.